I have recently discovered the many benefits of millets and decided to adopt it in my diet. 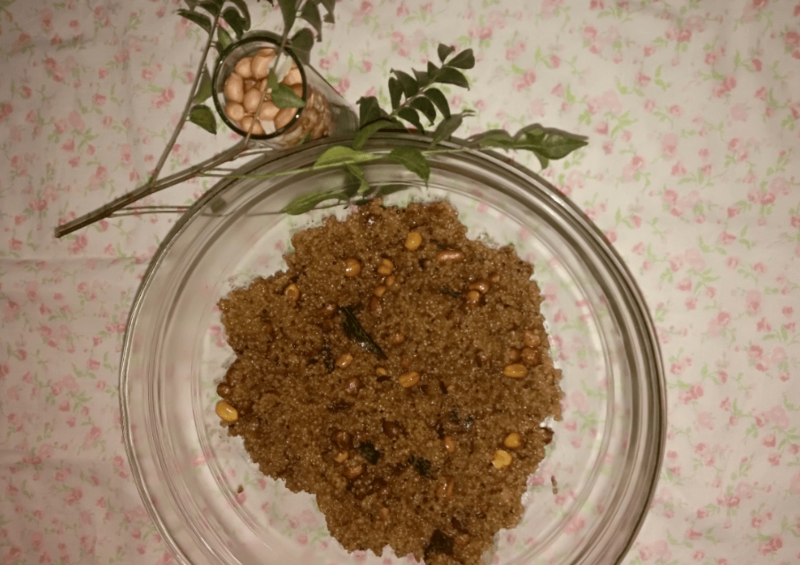 Read about the advantages of millets in my posts here and here. The advantage of millets can hardly be over emphasized. These little grains pack a punch as far as health is concerned so I got thinking as to how I could make something interesting. 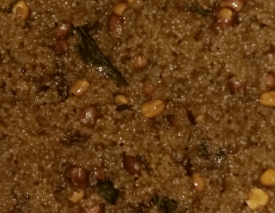 It helped that I recently went to a millet food based restaurant that had interpreted millets differently including a South Indian Puliyogare. So I decided to try it and fortunately turned out fine. It is simple, light and easy and if you want to try it here is the recipe that serves 3-4 people. Soak the millets for 30 minutes and pressure cook. If you use 1 cup of millet, add 1.75 cups of water. Allow to cool. Dry roast the peanuts for about 5 minutes on a low flame and keep aside. Heat oil in a pan and add the mustard seeds and asafoetida. After the mustard seed splutter, add the roasted peanuts, turmeric powder, jaggery powder, rasam powder and stir. Add curry leaves and tamarind water to the pan and mix well. Fry on slow heat till the oil leaves the side of the pan. Now added the cooked millets and mix well.